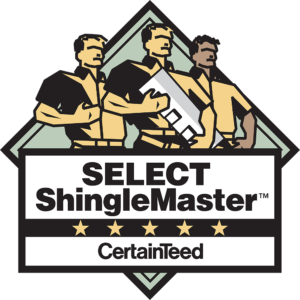 Centennial Home Improvement has been promoted to the top level of certified roofing companies through CertainTeed known as Select Shingle Master. As a Select Shingle Master, Centennial Home Improvement represents the highest standards of excellence, quality, and knowledge in the shingle roofing industry. Centennial Home Improvement has demonstrated extensive knowledge of shingle installation and quality through rigorous testing and have provided CertainTeed with proof of workers' compensation and liability insurance. Only an Select Shingle Master may offer you the highest level of SureStart PLUS™ extended warranty coverage when an Integrity Roof System is installed on your home. CertainTeed is the premier manufacturer of asphalt shingles in the United States. CertainTeed produces the industry’s most extensive asphalt shingle line. Founded by George Brown in 1904, then known as “General Roofing Manufacturing Company” in 1917 they changed their name to reflect their company slogan. “Quality made Certain, Satisfaction Guaranteed”. CertainTeed has been an industry leader in color innovation with complex color blending technology and the introduction of bold designer shingle colors such as variegated reds, blues, and greens. Metal Roofing has been making a big impact in our area over the last 20 years from Stone Coated Steel to Raised Panel Hidden Fastener Metal Roofs. There are a number of benefits in choosing a metal roof such as: Wind Warranty, Class A Fire Rating, Hail Warranty, Energy Efficiency, Light Weight, Resistance to Ice Damning, Impervious to Moisture, Aesthetics and let’s not forget the Resale Value! The last roof you will install with a life span of 40-70yrs. Also, don’t forget to ask your insurance provider if they provide discounts for installing a metal roof on you home. Here at Centennial Home Improvement, we have had the opportunity to install Asphalt Shingles, Stone Coated Steel, and Standing Seam Metal roofing for our clients living in Bettendorf, IA Davenport, IA Eldridge, IA Blue Grass, IA Muscatine, IA Iowa City, IA Coralville, IA Tipton, IA Clinton, IA and surrounding towns. With a wide range of offers and our comprehensive services, from asphalt roofing, metal roofing, vinyl siding, replacement windows, seamless gutters to gutter protection you wouldn't want to go anywhere else. Get in touch with our Davenport office @ 563-888-5501 or our Iowa City Office @ 319-202-5805 today and we'll make sure your home gets the roofing system it deserves.